Blog | What Are the Options When Car Keys are Lost or Stolen? Few things feel worse than finding out that the keys are locked inside the car. Two things that do- are finding out that the keys have been lost or worse, stolen. What options are available when the keys to the car have been lost or stolen? To answer, consider each scenario separately. 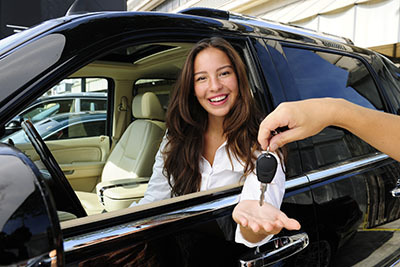 For a lost car key it may be wise to simply call an emergency locksmith service to have new keys made. If the car is a newer model, that may require a new transponder chip key. But that is still less costly than replacing the locks, so that is the best option. Of course, one could have the car towed to a dealership, but the costs of having the work done there far exceed those of a mobile locksmith. Too, if in a hurry, a mobile locksmith can often get you on your way much quicker than a dealership. * Change the auto locks – When someone has the keys to their car stolen, the first impulse is often to simply have new locks installed. Doing this is expensive, however, and consumes more time than necessary to have the work completed. * Auto lock rekey – Perhaps the best option is to call an emergency mobile locksmith to come to you. He or she will unlock the car using the latest technologies and locksmith tools. Then, the locks can be rekeyed on the spot. This saves time and money. Should the ignition be rekeyed? If the keys were simply lost, maybe not. Often, when keys to a car have been lost they turn up later in a location no one thought to look. But when the keys have been stolen, it is wise to find a same day locksmith service to come rekey not just the doors, but also the ignition. Often, car owners figure they can save a few bucks by just getting the doors rekeyed, but what if a thief returns and smashes a window? Clearly, the best option is to have the emergency locksmith company rekey the entire car. Our company offers emergency services, including rekeying. Give us a call for more information!